Come and share your story of immigration, whether it is a funny misunderstanding, the grief and joy of living outside of your home country, growing up with parents who are immigrants or navigating two worlds. Every story is welcome! 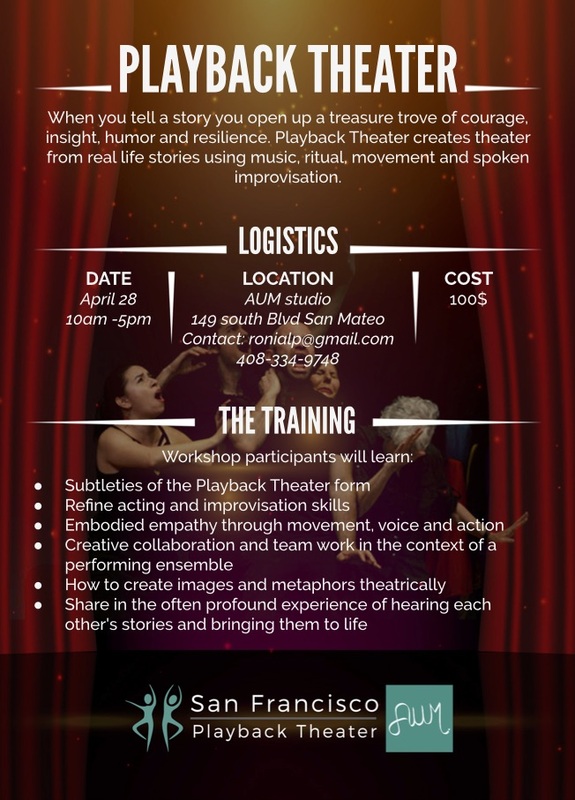 In response to your story we'll create theater using music, movement, ritual and spoken improvisation. RSVP today! SF Playback Theater builds communities based on empathy. In a fast-paced, disconnected world, we honor the power and wisdom of listening to real life stories. This event is in conjunction with the Jewish Community Relations Council.